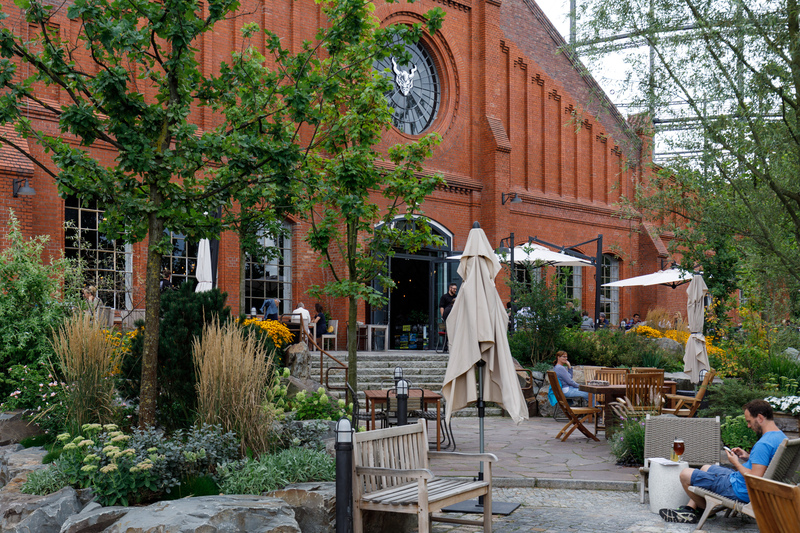 Stone Brewing Berlin, the US craft brewer’s first European outpost, is a brewery, restaurant and beer garden on the site of the former Mariendorf gasworks. 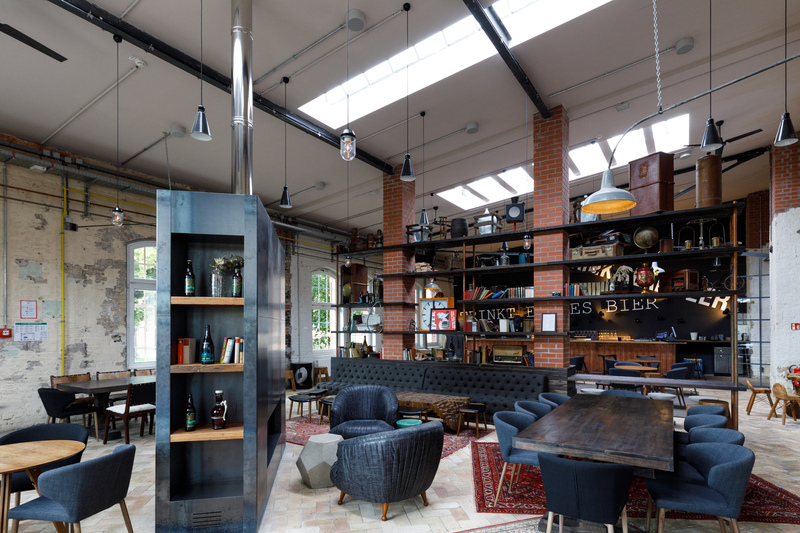 The red brick colossus of the 3,200 square metre main hall of Stone Brewing Berlin is home to the brewery, main bar, restaurant, merchandise shop and library bar. The brewery has a 100 hectolitre main tank and an additional 10 hectolitre tank for experimental and small batch brews. 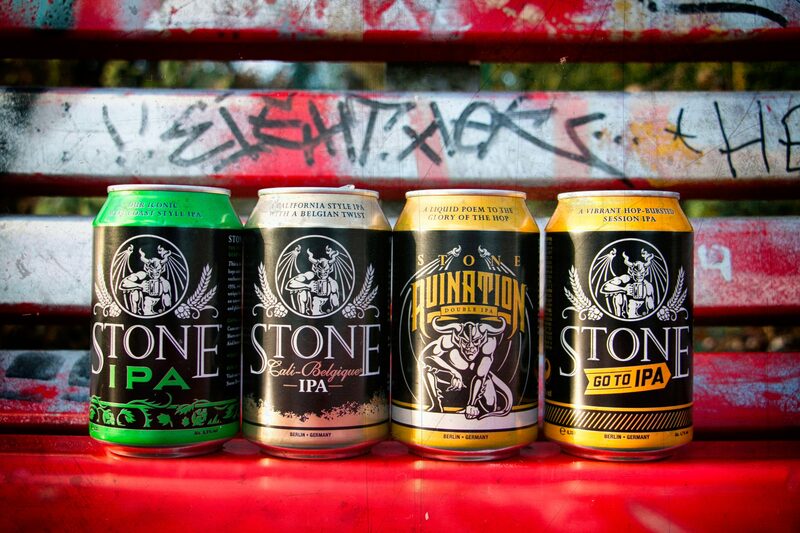 Stone distributes the beer brewed here to 18 countries across Europe. 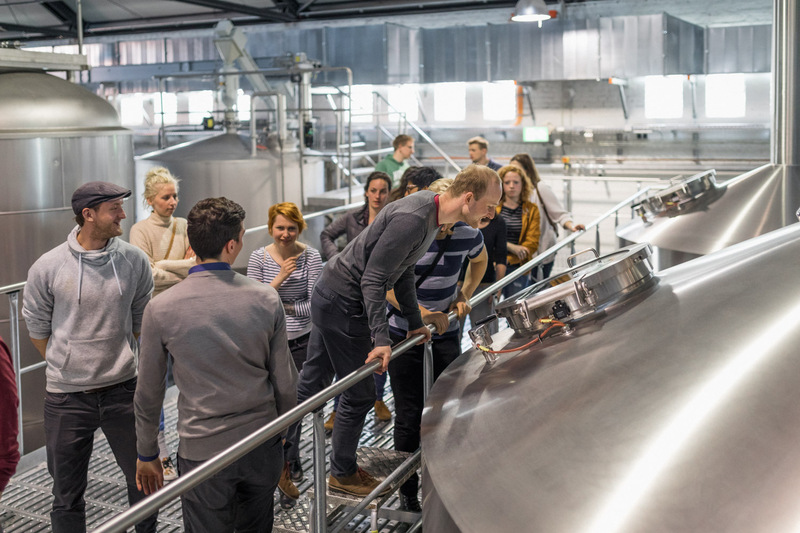 Brewery tours are available in English and German daily and can be booked online or reserved in person. 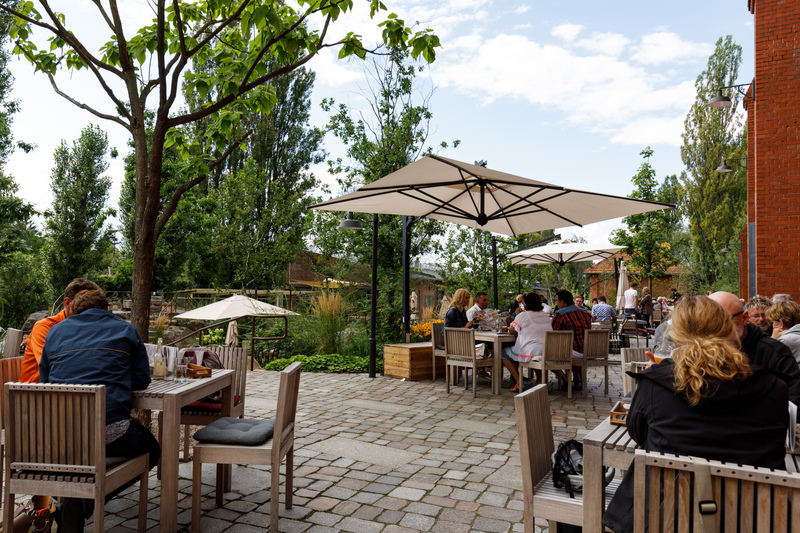 Places are limited to 25 people per tour and cost 3€ including a tasting. Cans maintain the quality of the beer – Cans optimize the protection of flavor. They have an absolute barrier to oxygen and are the only individual packaging with an absolute barrier to light, preventing “stale” and “skunky” off-flavors. 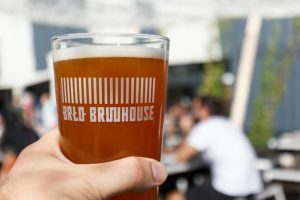 Modern aluminum cans have zero impact on flavor – One misconception about the quality of beer stored in cans is that aluminum migration can take place and result in a metal-tasting beer. Modern industry standards in can production prevents any aluminum reaction with the beer. Cans are lightweight and essentially unbreakable – They’re the easy choice when on the go at camping spots, the beach, hiking trails, parks, sporting events. 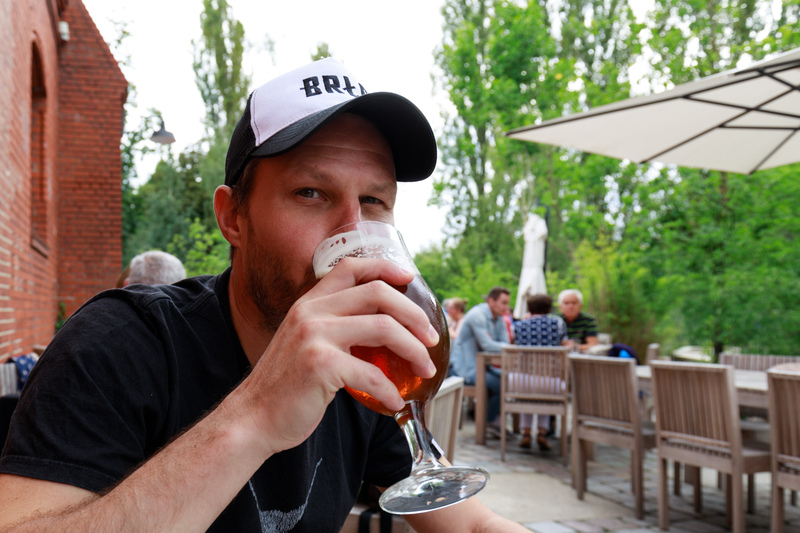 …a current-day interpretation of an American West Coast style pale ale, brewed in Germany and with an Australian accent. 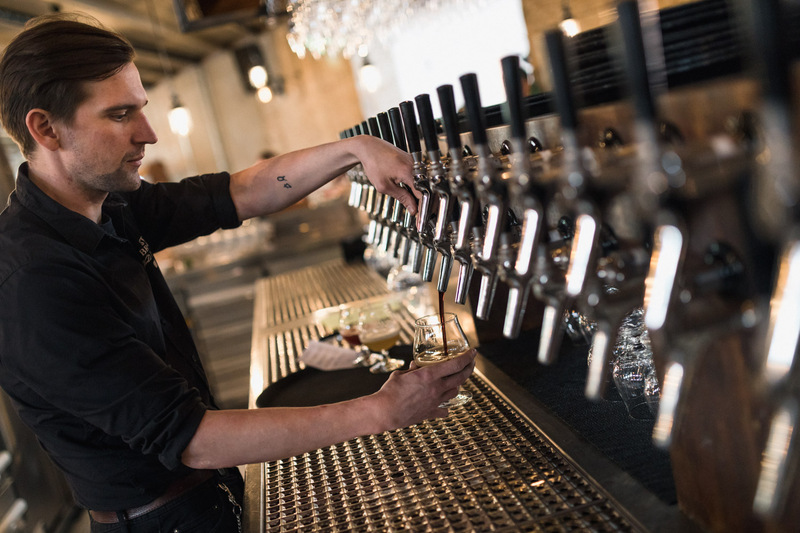 As well as their own extensive range, Stone Brewing Berlin has a selection of guest beers on tap (50 in total); bar and waiting staff can help you find a beer style to suit your tastes. 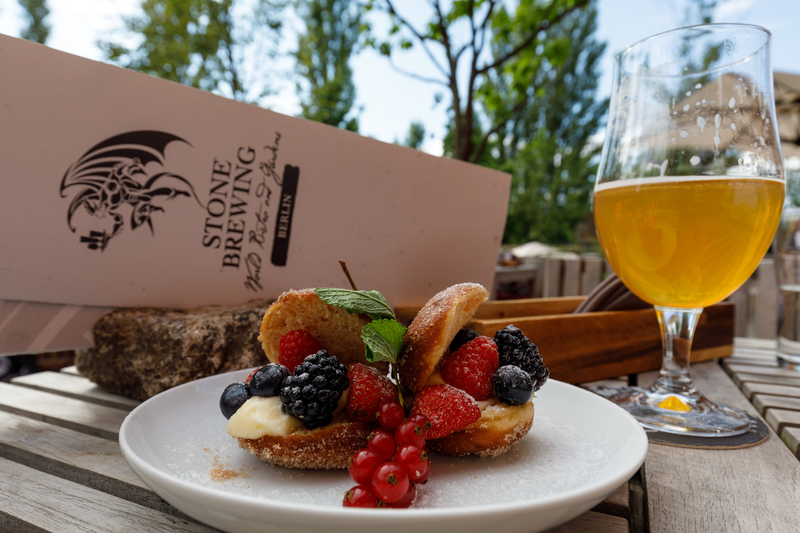 With all that booze on offer it’s a good thing that Stone Brewing Berlin also has a restaurant. 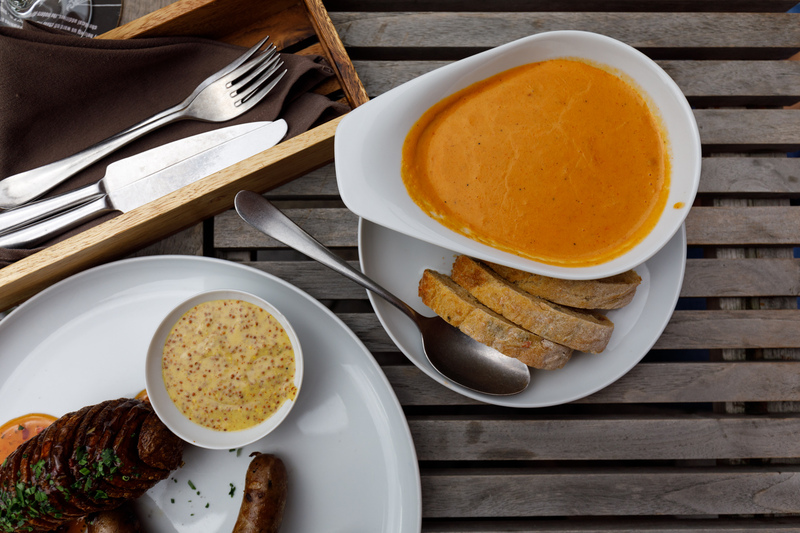 They have everything from small dishes to share or nibble on while you drink to heartier main courses and some mouth-watering desserts. 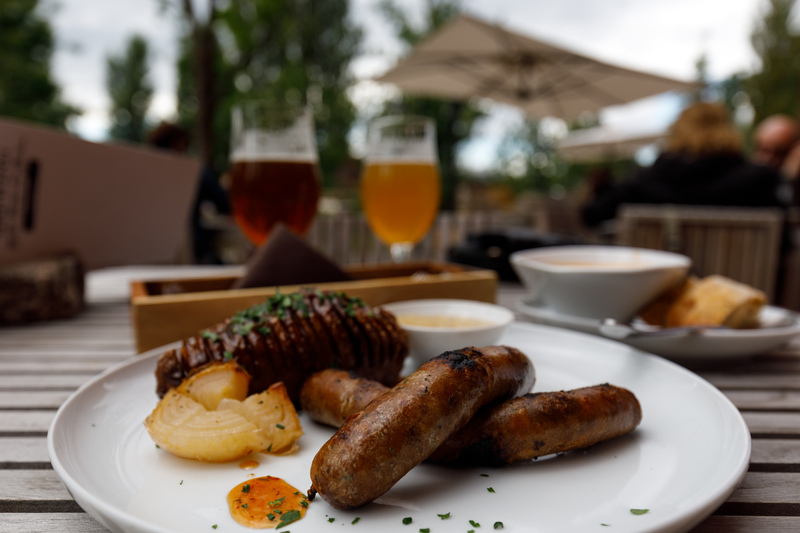 The emphasis is on local, seasonal, sustainably sourced ingredients. 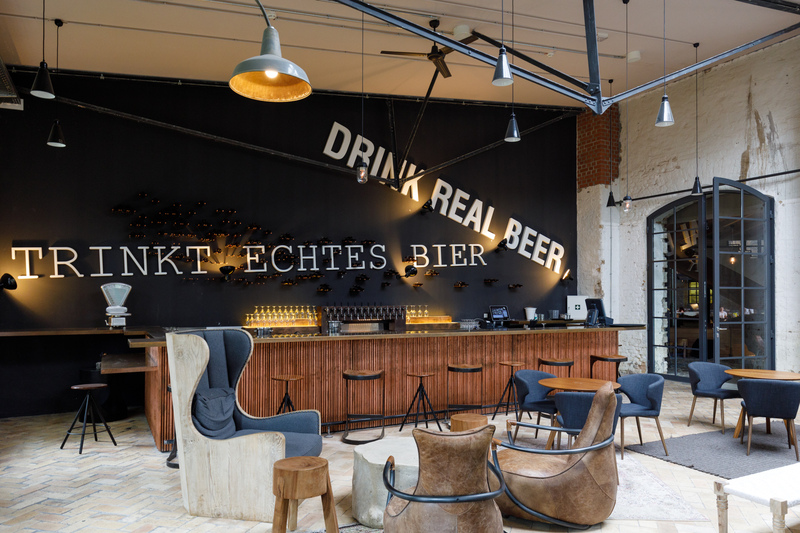 In keeping with the building’s previous life, which started when the Mariendorf gasworks opened in 1901, the decor has a very industrial feel. 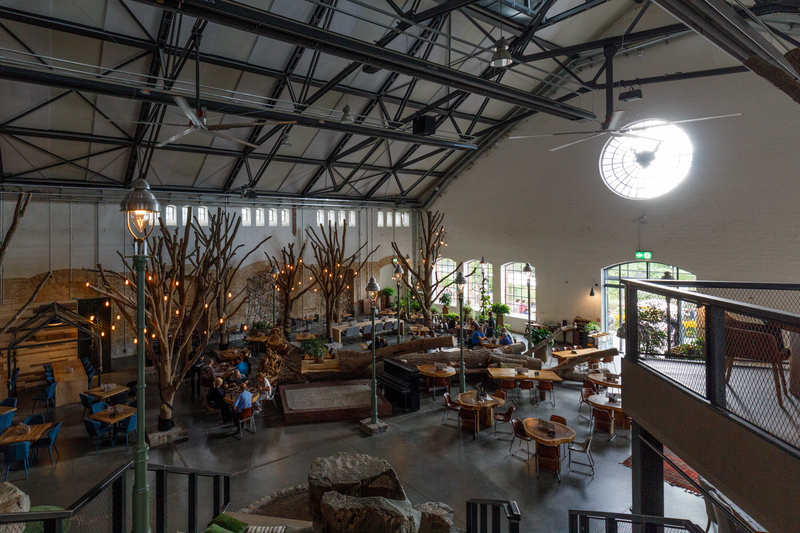 Tree branches and a veritable jungle of plants give the impression that nature has been brought indoors, providing some colour that offsets the exposed brickwork and pipes. 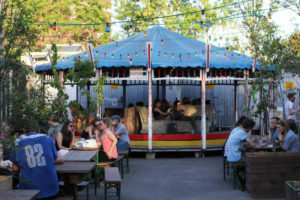 The extensive beer garden has been beautifully landscaped and offers a variety of seating options. 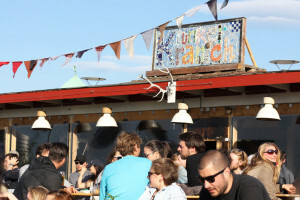 There are tables and chairs for dining and reclining seats and deckchairs for lounging about when the sun is shining. When the weather isn’t playing nicely I would recommend taking a seat in the Library Bar. 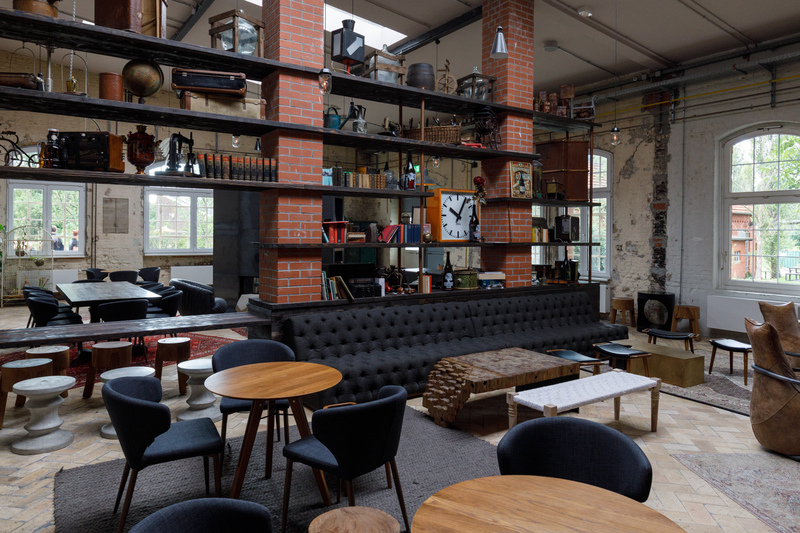 The fireplace makes it the ideal cosy spot to ward off the cold of a dark Berlin winter day. 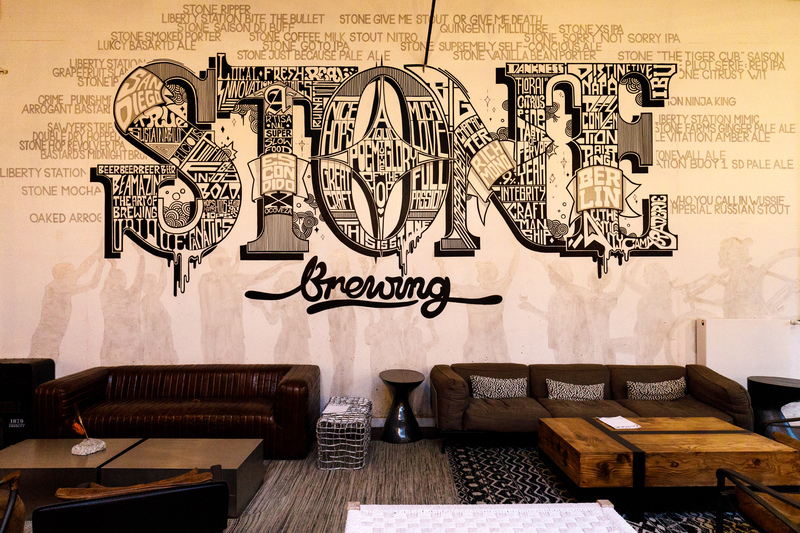 An onsite shop sells Stone Brewing merchandise and stocks a wide range of cans to takeaway. 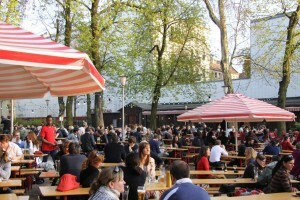 You can also buy draft beer to take away in 1l and 2l growlers. 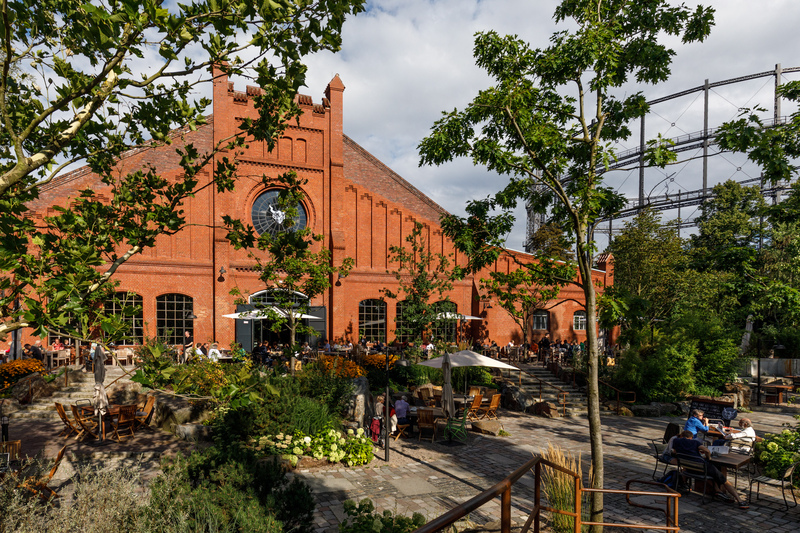 This video from the Grand Opening event of the Stone Brewing World Bistro & Gardens – Berlin does a good job of illustrating the scale of the operation. 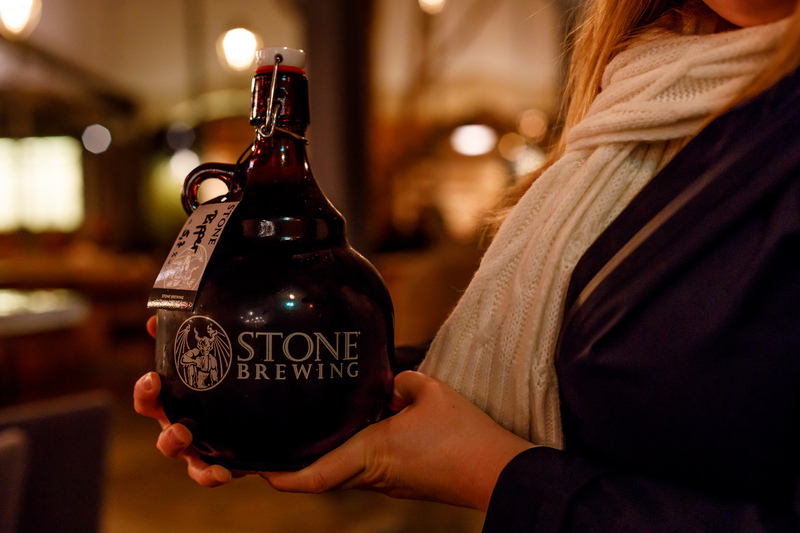 The only way to truly appreciate just how big Stone Brewing Berlin is though is to see it with your own eyes; you can check opening times and get directions and keep up to date with events on their website and keep in touch on Facebook and Twitter.